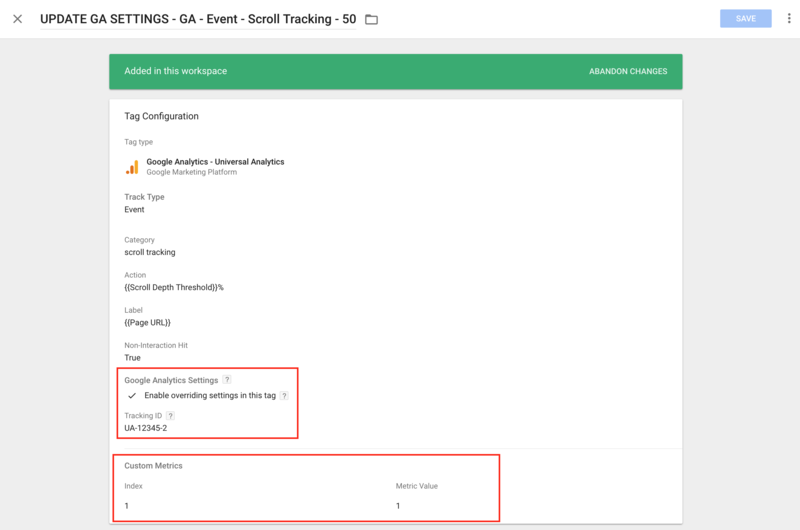 This recipe is for creating Universal Analytics Event Tags in Google Tag Manager that tracks customer scroll depth across pages on your website. For example, you might want to track the % of users who make it past 50% of your homepage to drive marketing initiatives. Or analyze how far users engage on category pages on mobile. 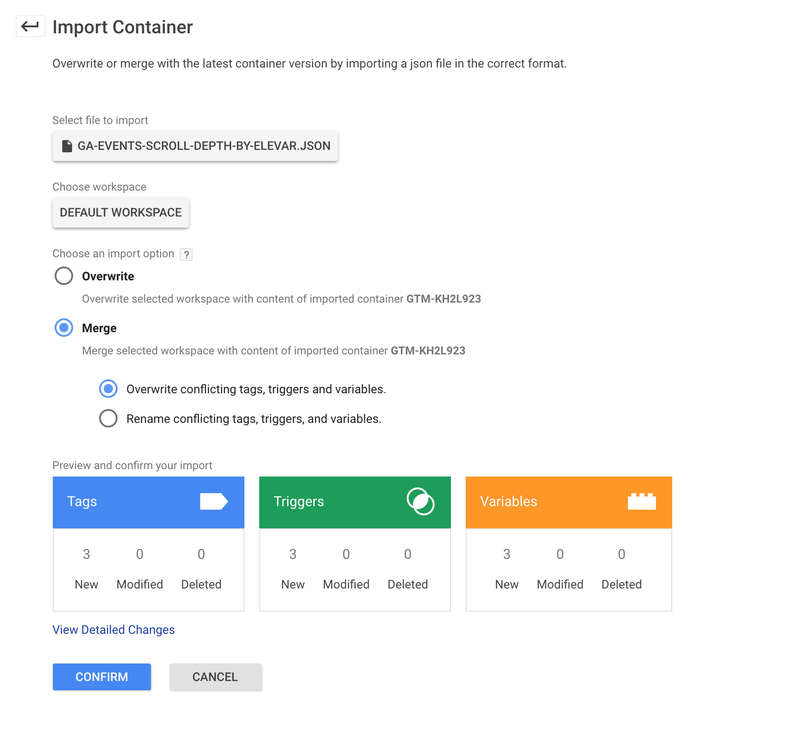 All GTM accounts have the ability to import containers within GTM > Admin > Import Container. Always test on a staging container and website prior to importing to production and publishing. You’ll find (3) tags, (3) triggers, and (3) variables. In each of the tags shown above, you will need to modify the Google Analytics Settings that is circled in the screenshot below. If you have a Google Analytics variable already created then you can assign yours here. [optional] Here at Elevar, we like to push custom events for all instances where a user gets to 50% and 90% scroll depth, respectively (in addition to other general scroll depth %’s). This allows us to analyze scroll depth % in bulk, by page, via calculated metrics. You can see how we accomplish this in our related GTM scroll depth guide. If you would like to set this up for your own analysis then you can add a custom metric hit to your tag as well (this is not setup in the download). NOTE: Always merge these containers when importing into GTM. Never select overwrite! Click to download this container to import into your own GTM Account.